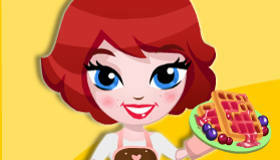 Free CAFE GAMES for Girls! Come and enjoy a nice cup of coffee or recharge your batteries before you get to work as a waitress, designer or even a business woman in these cafe games! Did you know the word ‘cafe’ is French for ‘coffee’? 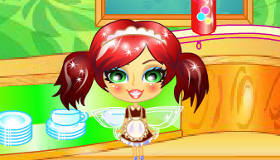 Well, you can be sure you’ll pour tons of cups of Joe in these girls’ games! 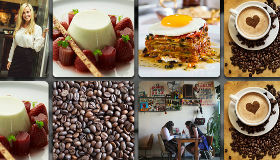 But cafes don’t only serve coffee, of course. You can also treat yourself to tea, juice, cakes and sandwiches, or sometimes even burgers, fries and other snacks. The food and drinks aren’t the only important things, though: cafes need to look good, with lots of comfortable seating, soft lighting and a nice atmosphere. 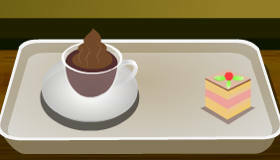 You can try to create the perfect coffee shop or tea house in our cafe decorating games, or maybe even build one or run one in cafe management games. Whether you’re a budding interior designer, a star businesswoman or have a knack for customer service, we know you’ll find a cafe game that you really love in this category. Have fun with these work games, girls – why not treat yourself to a nice refreshing drink when you’re done?